Adding beautiful, contemporary lighting to your space not only creates ambiance, it provides function as well. To create a modern, distinctive look for our lighting, we use a mix of innovative and traditional materials, as showcased in these eight examples. 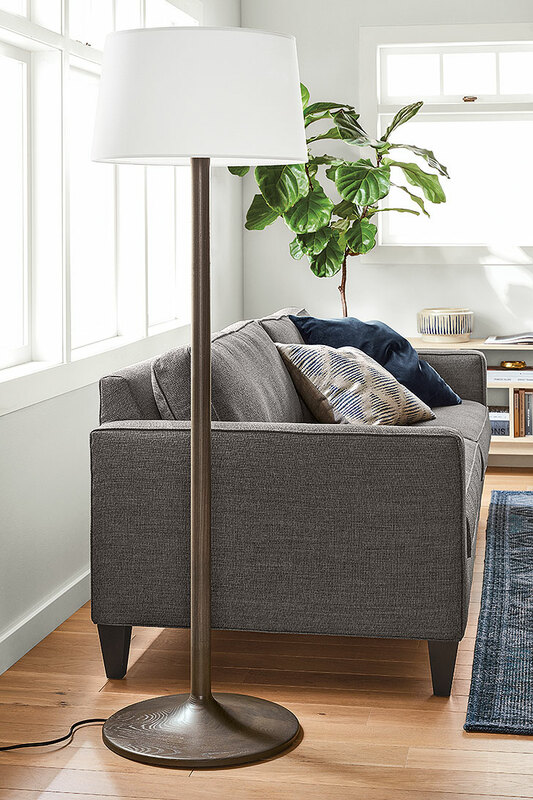 Our Barlow lamp has a hexagonal stem with an exposed channel that holds the fabric-wrapped cord. The unique shade is round at the top and flows into a square at the bottom, adding elegance and providing general lighting for the entire room. 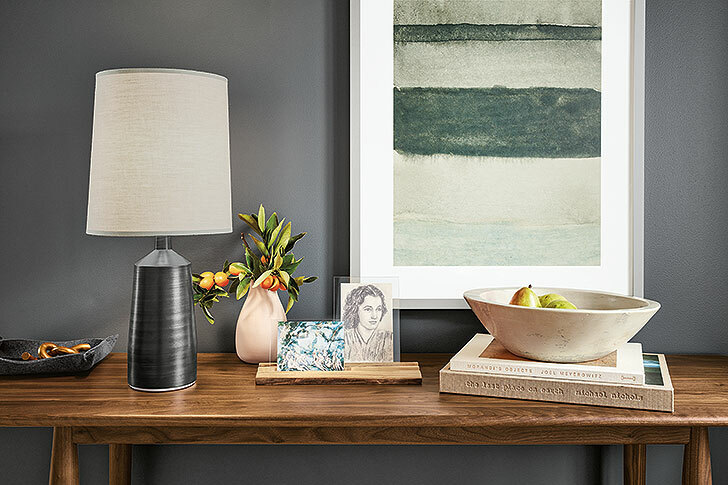 The effect is sculptural and modern—perfect for a lamp you’ll use for years to come. By carefully blowing glass and allowing air bubbles to appear only in specific areas, the artisans at Hennepin Made have created the Abra pendant with a unique texture. It takes skill and practice to make these functional works of art. 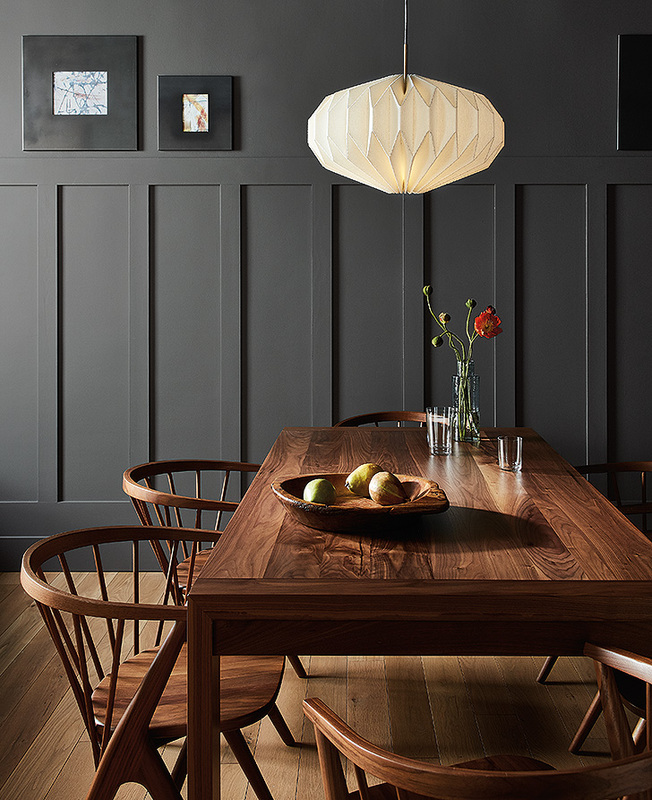 Tall, yet slim, the Monarch lamp adds beauty and function to your table. Vermont artisans create this lamp, starting with clay that is poured into a mold then removed and trimmed by hand. Multiple layers of a proprietary glaze are carefully hand-brushed onto the piece in a specific order and thickness. The stoneware firing reveals the beauty of the process. A cotton shade and three-way lighting functionality give the perfect amount of light for any space. 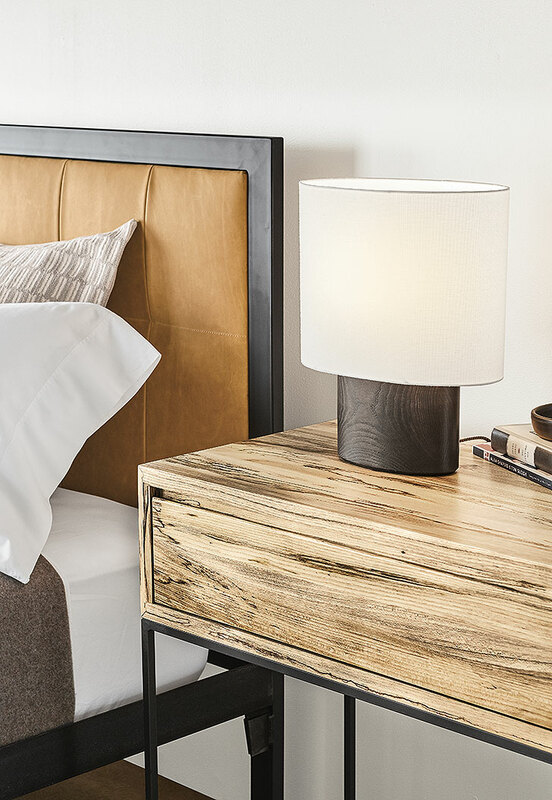 Illuminate your room with modern style with Leighton. 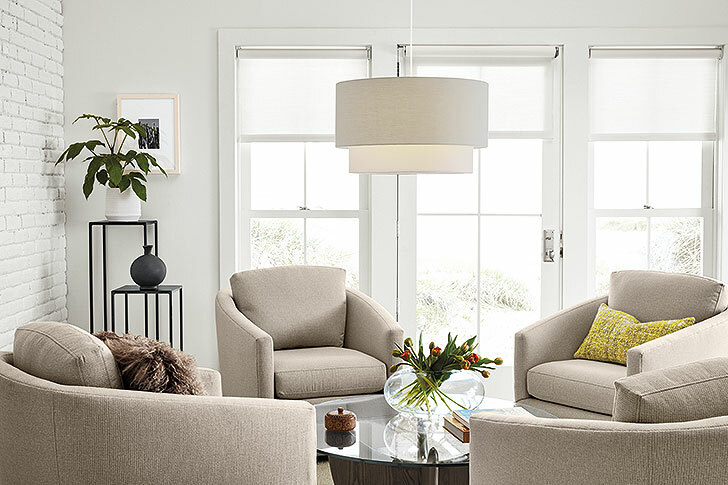 Double drum shades layers allow light to pass through the inner shade then the outer shade for a dimensional look. The bottom features a fabric diffuser which provides soft, even light. The unique, elliptical shape of Haddie makes it stand out. A solid wood base anchors the piece while the shade appears to float above it. This lamp has a small footprint, allowing usage in many spaces. 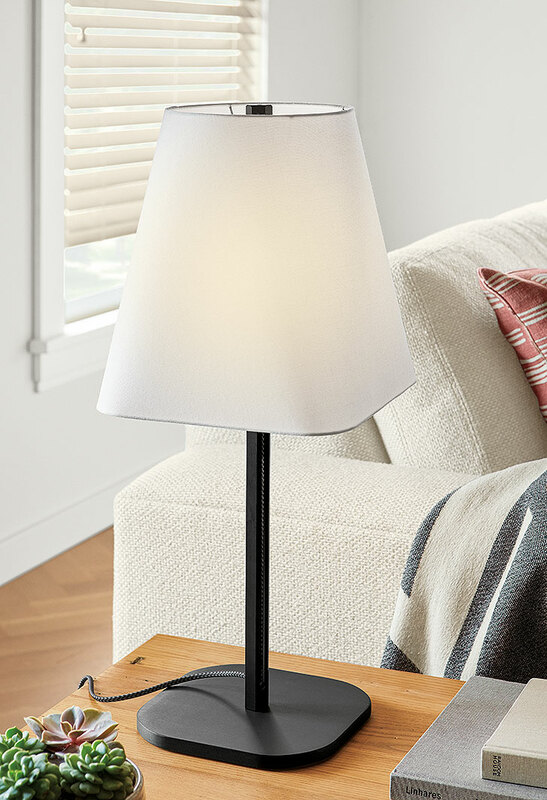 We designed our Clement lamp with a petite size and unique silhouette to add sculptural interest to any room. 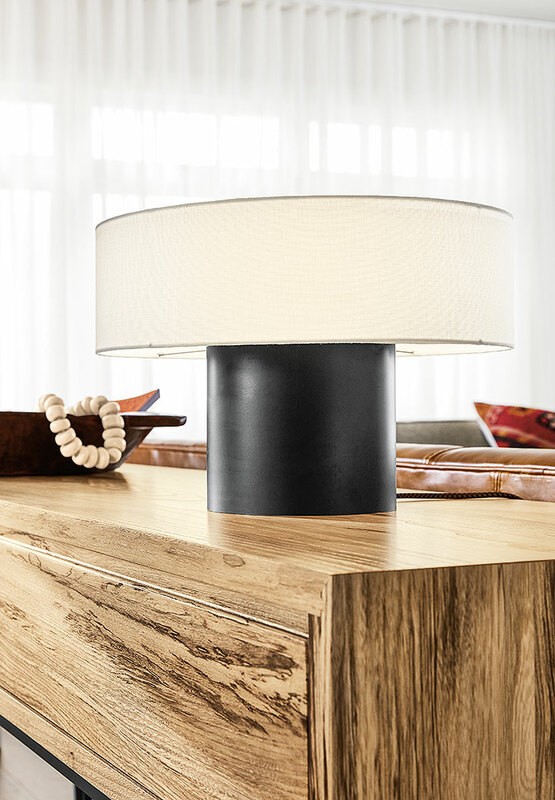 The low-profile shade features an offset diffuser that creates a glowing ring of light around the top. A rotary dimmer lets you adjust the amount of light and the included LED bulb is energy efficient. Origami-inspired, the Orikata saucer pendant was developed in California and adds eye-catching drama to your home. Beautiful material is laser-cut and then carefully folded and stitched together, creating functional works of art. Light glows through both the shade and the laser-cut folds, creating an interesting pattern on the ceiling and walls. 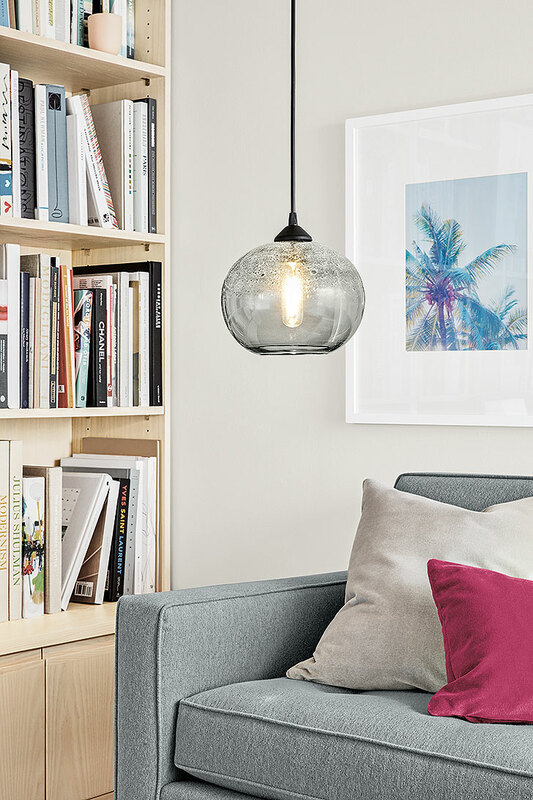 You can only find these pendants at Room & Board. Connelly, made of solid wood, has a slender shape and elegant base and adds sleek style to any room. A three-way switch and energy-efficient LED bulb let you adjust the light output, while the simple shade tops it all off with a modern look. Find more contemporary lighting inspiration here.